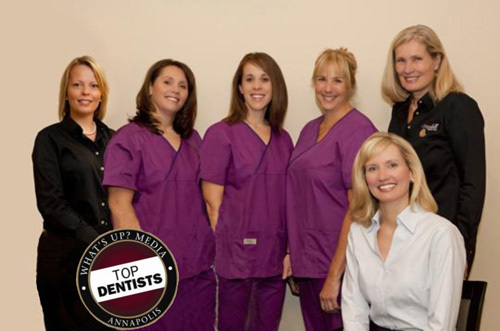 Mitchell Dental Care LLC is located on the third floor of the Brick Companies Center in South River Colony, Edgewater, Maryland. From Annapolis: Take Rt. 50 to Exit 22 (Rt. 665 – Aris T. Allen Blvd). Take the second exit onto Solomons Island Road (Rt. 2) south to Edgewater. Cross the South River Bridge and make a left onto Mitchells Chance Rd. Turn Left after the UR Burger Restaurant onto Braverton Street. Make the first left and proceed ahead to the four story brick office building. From South County: From South County: At the intersection of Central Avenue (Rt. 214) and Solomons Island Road (Rt. 2) proceed north on Rt. 2. Make your first right on Mitchells Chance Road. Turn left after the UR Burger Restaurant onto Braverton Street. Make the first left and proceed ahead to the four story brick office building.